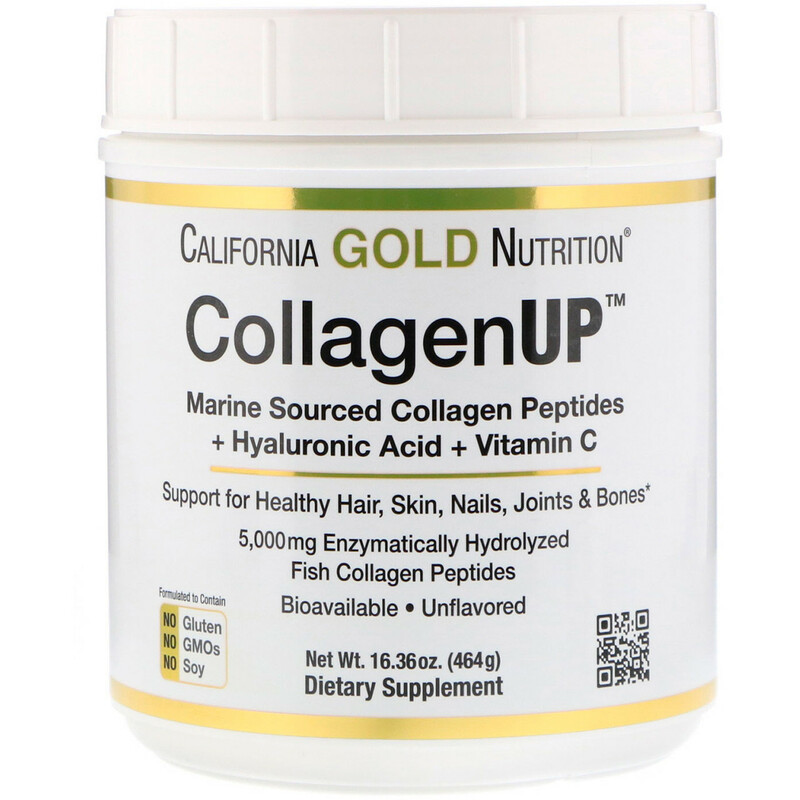 Our CollagenUP 5000 complex contains unique, clinically researched, enzymatically hydrolyzed, low molecular weight Fish Collagen Peptides with Hyaluronic Acid and Vitamin C. This product provides the fundamental building blocks for support of healthy joints, bones, skin, hair & nails. Taken as a dietary supplement, it provides the body with the raw materials needed to support the strength and integrity of bodily tissues. Our specially processed Fish Collagen is enzymatically hydrolyzed (broken down) into its component amino acids peptides in order to help ensure optimal absorption/bioavailability. Mix 1 scoop daily (approximately 5.15 grams♦) in approximately 2 ounces of room temperature water or juice. Add an additional 6-8 oz of room temperature water or juice and mix well (for best results, mix in a blender bottle) and drink on an empty stomach at least 1 hour before or 2 hours after meals, or best as recommended by healthcare professional. Avoid taking with other foods containing protein as they may interfere with collagen absorption. Contains: Fish (One or more of the following: Tilapia, cod, pollock, haddock & hake). Aroma, color, consistency and taste may vary. Color shift is normal and cannot be avoided. Double safety sealed, with outer shrink wrap film and inner bottle freshness seal. Best stored at Controlled Room Temperature (CRT) 20°C to 25°C (68°F to 77°F). Improper storage conditions, such as extended exposure to direct sunlight, high heat & humidity can cause product degradation over time.